No easy read, but here's my piece in last month's Vegan Life about monkeys in Costa Rica and the woman on a mission to save them. The good people at the Worldwide Veterinary Service connected me to Refuge for Wildlife, the incredible rehabilitation project run by Brenda Bombard and family. Her twenty year commitment to rescuing and rehabilitating monkeys electrocuted by uninsulated power lines is astonishing. Her work is not done - if you are moved to support Brenda's projects, you can donate here. 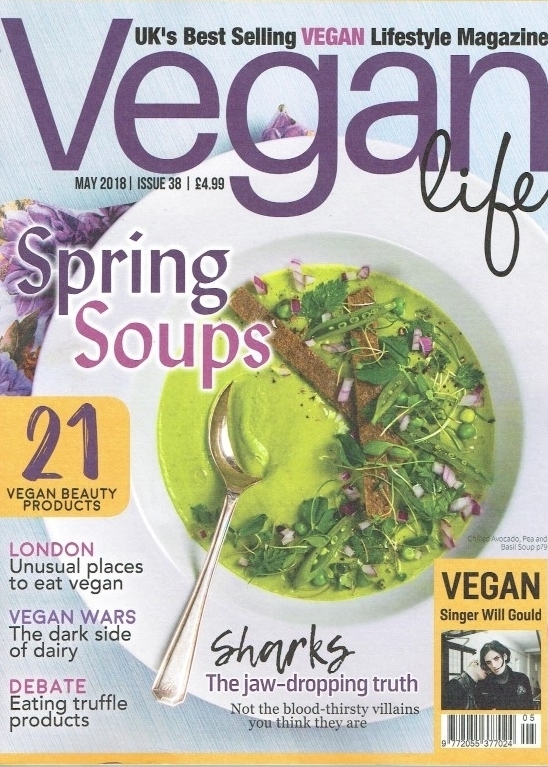 As seen in the May 2018 issue of Vegan Life magazine. To Costa Rica’s howler monkey population, power lines seem no different to the branches and vines they depend on to swing through the jungle hunting for food. 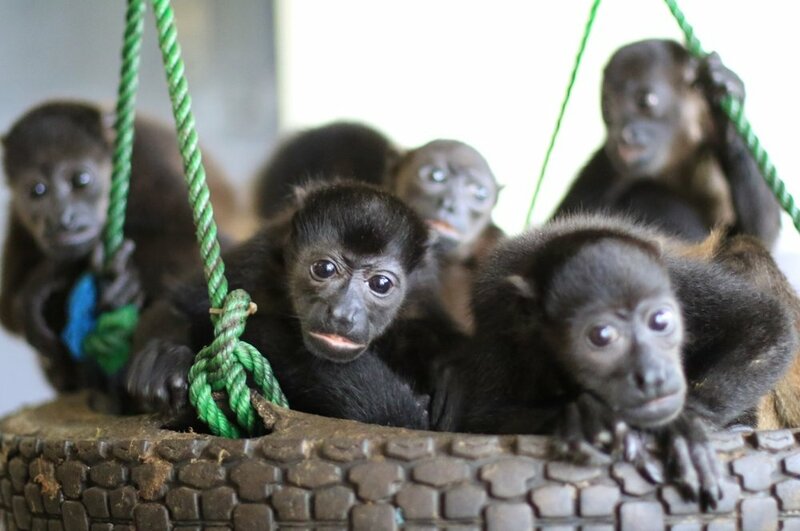 Travelling in family troops, howler monkeys should have a life expectancy of 15 to 20 years. They use their tails like a fifth arm, to grip and hang from branches and add extra balance and stability as they traverse their habitat, rarely descending to the ground. But disaster strikes when these innocent omnivores touch transformers or live wires. 7500 volts surge through them. When mothers are carrying their young on their backs, the voltage can kill her, leaving her baby orphaned. While she may have taken the biggest electric shock, babies can still be hurt too. The shock can set the monkey on fire, leaving them with charred flesh and burnt hair. They can experience muscular spasms and, unable to let go, they cry out in pain, resulting in the rest of their troop trying to help but suffering the same tragic fate. Several family members can be electrocuted at once and entire troops can be killed in minutes. It is almost too sad to contemplate, but read on! It is a devastating consequence of human impact that could, and in most countries is, avoidable by insulating power lines and transformers. In Costa Rica, as towns expand the problem only worsens. More demands for electricity equals more power lines. To make matters worse, they’re now building transformers that emit 34,000 volts. Monkeys can’t survive that kind of shock. Fortunately, help is at hand. Californians Brenda and Randy Bombard moved to Costa Rica 20 years ago, launching Refuge for Wildlife shortly after. 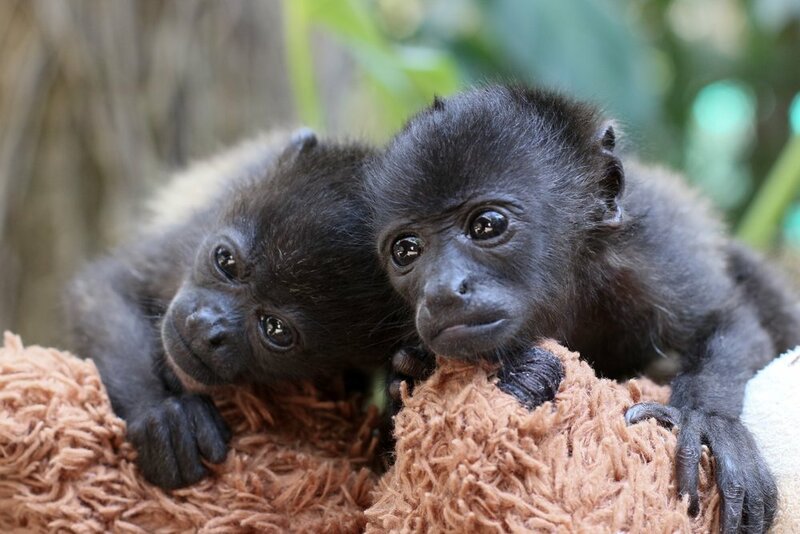 Over two decades, the couple have saved thousands of orphaned and injured howler monkeys. Brenda’s Stop the Shocks campaign aims to insulate as many transformers as funds allow, while building bridges to divert monkeys away from the power lines so dangerous to their lives. She remains determined that all monkeys would, when ready, return to the wild rehabilitated, recovered and healed. ‘It doesn’t get any easier. I still cry just thinking of what the monkeys go through. The new higher voltages cremate them in seconds. I tell myself they die instantly and don’t feel the pain, but it doesn’t stop my heart hurting. For those we can save, we do everything we can,’ Brenda said. Refuge for Wildlife operate around 250 emergency rescues a year. Not just victims of electrocutions, but also monkeys suffering from illness, attacks, accidents and road injuries. And not just howler monkeys. They take in anteaters, squirrel and Capuchin monkeys, possums and macaws. 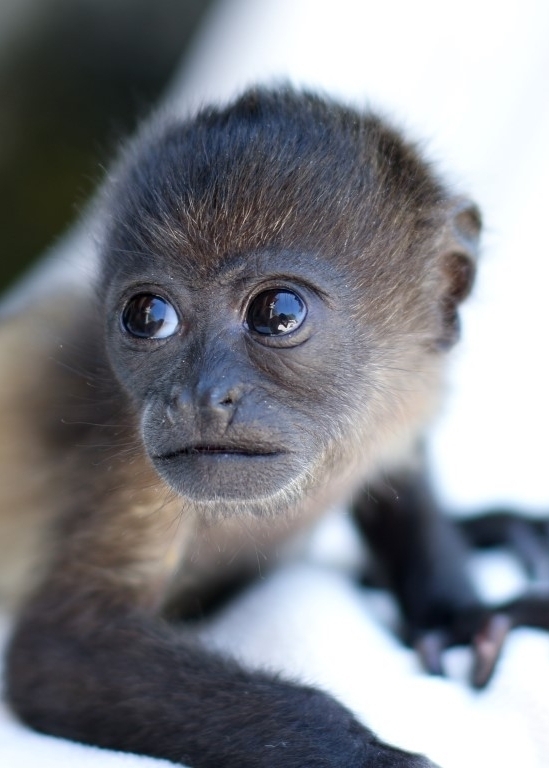 The refuge saves 85% of the infant monkeys they rescue and 20% of adults. While the mother absorbs most of the electrical current, her baby is more likely to survive, albeit badly burned and injured. Some are lucky enough to have only minor burns and adapt well to their disabilities. Each infant stays in rehabilitation until they are around two and a half years old, costing around £180 a month. Injuries caused by electrocution are most often fatal. Electrical burns hit hands, feet and tail, or worse, the entire face and body. In cases where the monkey catches fire, burns are severe. Without intervention, monkeys are known to gnaw at their own injuries until they ‘self-amputate’. At the refuge clinic, the veterinarian team are experienced in treating electrical burns. Amputations are performed to remove decaying limbs, fingers, toes and tails. Wounds are cleaned and dressed, pain relief and antibiotics are administered. There are 30 orphans in the refuge’s dedicated nursery at any one time and those who require amputations are monitored while they adapt. The Worldwide Veterinary Service organises for volunteers to give their time and expertise to animal projects all over the world. Since 2016, they have sent 20 non-vets to Refuge for Wildlife, enabling Brenda’s project to thrive without the burden of paying salaries. You can find out more about their volunteer programme here. In January last year, Refuge for Animals partnered with International Animal Rescue. Their ethos is aligned, to return animals to their natural habitat wherever possible. ‘With their support, we were able to buy a new rescue vehicle and add a full time vet to our team. Our partnership means we can buy a 36 acre property and look after more animals,’ said Brenda. 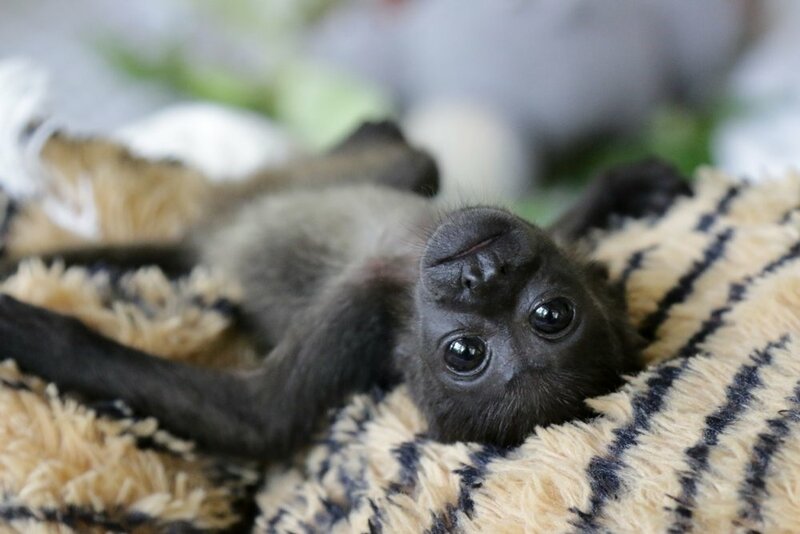 £180 per month provides an orphaned howler with fresh leaves and infant formula, a kennel for sleeping, a hot water bottle, a shared large enclosure, 24/7 caregiver, onsite veterinary care, medication and enrichment toys. This is the base expense for an uninjured howler. For the injured babies, there are additional expenses for veterinary care, medications, burn cream, bandages, amputations and rehabilitation. Pretty blooming gorgeous, innocent little things, aren't they? All they want to do is swing through the trees but human need and greed = no more trees. To support all that Brenda and the team do, donate here.